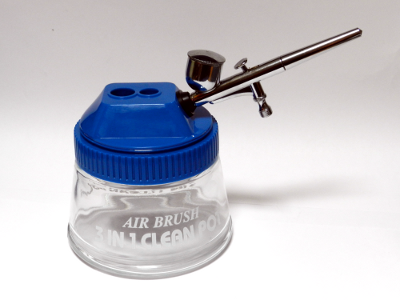 The latest design clean pot is not only for cleaning the residual paints in airbrushes, but also provides 2 extra functions. One is the cap which can be used as the palette and water cap. The other is airbrush holder.